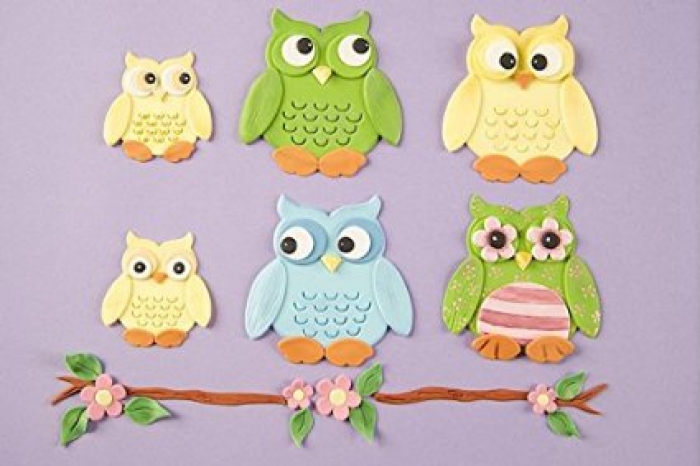 Owl Cutter Set by Patchwork Cutters. This is a special Patchwork Cutter / Embosser set developed by Marion Frost. 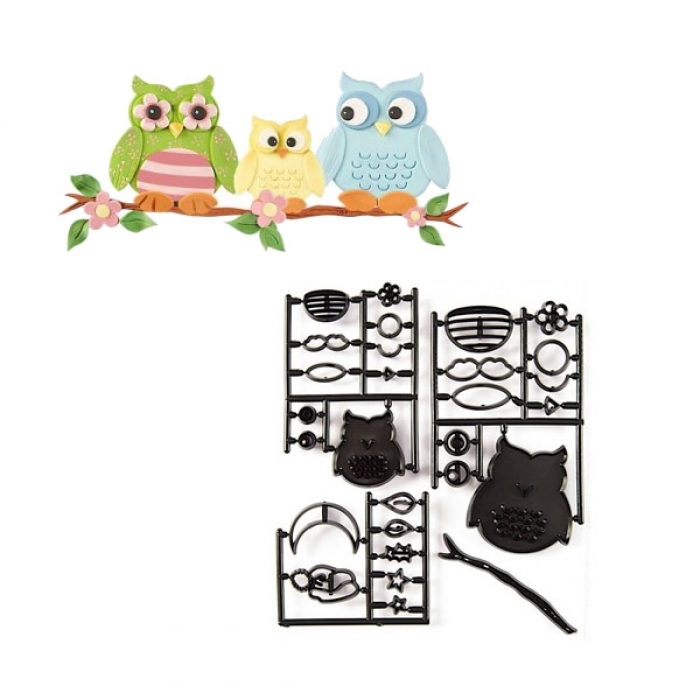 The Owl Set includes two sizes of owl complete with separate eye, wing, beak and tummy cutters giving you countless design possibilities! The set also includes a branch, flower and leaf cutter and even a holly and Christmas hat cutter for festive designs. 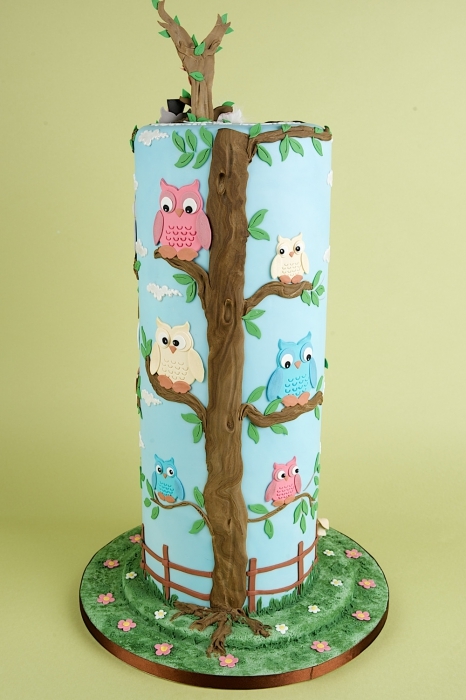 The large owl is 7 x 7 cm (approximately 2-3/4 x 2-3/4 inches). 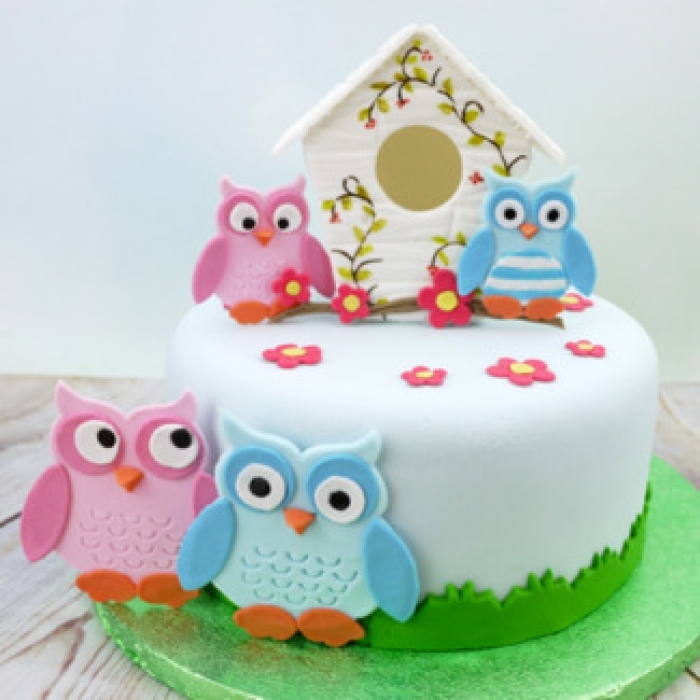 Patchwork Cutters are beautifully detailed shallow cutters that work best for embossing designs into rolled fondant icing or creating cut-out decorations using thinly rolled Mexican Paste or very firm gumpaste. Mexican Paste, works best for cut-outs. These cutters are not designed to cut out cookie dough or rolled fondant.